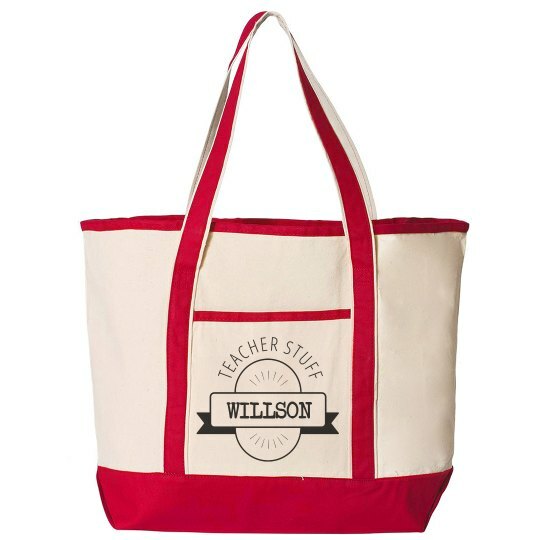 Every teacher needs a trusty tote bag to carry all their stuff in to and from school. Get yours custom made for you, by you! Simply put yours or a friends last name in so everyone will know who the stuff belongs to. This bag is great for end of the year appreciation gifts.